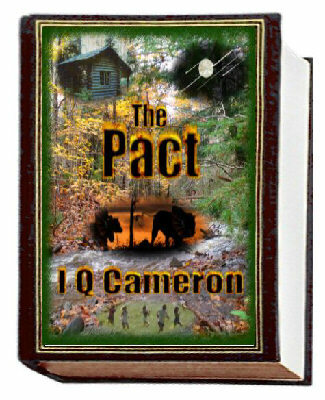 My new novel, The Pact is finally here! Set in Nova Scotia, Canada. Follow the plight of a group of young adults hiking in the woods, suddenly set upon by strange beasts. Could they be... aliens??? Aliens? Is that even possible? And just what is the strange, twisted and unexpected motive behind so many horrifying attacks!!!? And more importantly... Will any of the young people survive? Read as a fun hiking holiday turns into a struggle for survival against strange monsters, each other, and all odds! Take a peek at My Music!!! Music that I wrote and my wife and I recorded in the early 1990's. Easy listening and very moving! Look for details, photos and explanations on my Music Page. And please note that my music is © copyrighted and registered with the appropriate organisations, so please listen for free, but do not sell or re-record it. All novels and articles provided in numerous formats (pdf, azw3, mobi, prc, epub) and zipped so that you can choose which is best for your device (or devices). Purchase using PayPal® or a credit card. Listen to the author's music for free. Read the author's free Christian articles. Go the the Novels page. Read a synopsis and sample paragraphs for each story. Download the free portion of any or all novels. Purchase only the conclusion/s you want using PayPal® or a credit card. See much more on my music page. Find out what Jesus was really all about.